Powerful, insightful, and touching—the very definition of a moving and brilliant narrative. 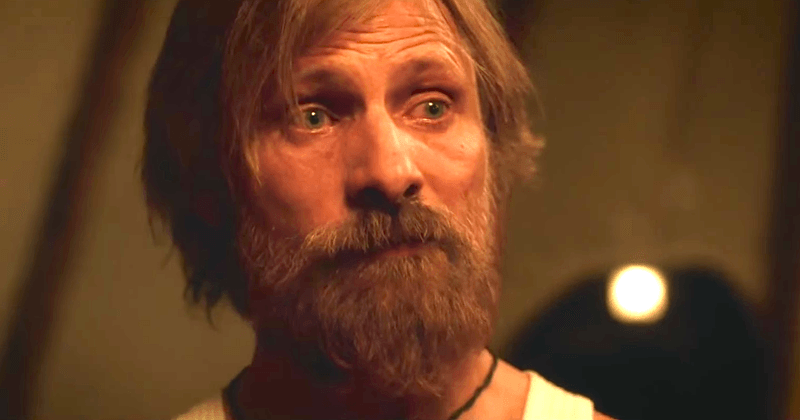 Viggo Mortensen stars as Ben Cash, a father living and raising six children on his own deep in the Pacific Northwest. When their bipolar mother Leslie commits suicide at a treatment facility in New Mexico, Ben must rally his family together before they all fall apart (Story Driver of Action & Overall Story Concern of Conceiving). At the heart of this film lies the central conflict: Ben’s uncompromising attitude towards his unconventional beliefs (Main Character Throughline of Mind). While seemingly positive on the outside, his inability to reconsider and even entertain an alternate viewpoint fuels conflict with his teenage son Reillan (Nicholas Hamilton), Leslie’s sister Harper and brother-in-law Dave (Kathryn Hahn and Steve Zahn), and Leslie’s parents Jack and Abigail (Frank Langella and Ann Dowd) (Main Character Problem of Non-Acceptance). “Power to the people/Stick it to the man” charges both positive and negative drama into the narrative (Overall Story Problem of Non-Acceptance). At the Harper house, the Cash family experiences culture shock (Overall Story Throughline of Psychology). Children are not allowed to drink wine. Children are not allowed to hear about suicide. Children are allowed to lose themselves in mindless violent video games as their minds rot from lack of intellectual stimulation (Overall Story Issue of Permission). A challenge to Ben’s homeschooling techniques results in an unflinching display of the failings of a conventional education (Overall Story Catalyst of Deficiency). Everywhere he goes, Ben faces judgment and disdain for his approach towards raising the children. With Leslie’s father Jack, Erin’s outburst “You’re going to get them killed!” becomes an accusation of “child abuse” (Overall Story Symptom of Potentiality). Jack’s motion to secure custody of the children from Ben signifies his equal and uncompromising concern for Ben’s children (Overall Story Response of Certainty & Overall Story Benchmark of Conceptualizing). While at the core a hardass, Ben also shows the remarkable ability to recognize when his children need a change of scenery. While training and presentations and proper intellectual discourse rule the day (Relationship Story Concern of Learning), an occasional sabattical can often shake things up. A climb up a sheer rock face or a Noam Chomsky Day celebration comprised of smash-and-grab criminal antics helps reset the balance of the family’s emotional state (Main Character Problem-Solving Style of Holistic & Relationship Story Throughline of Physics). Ben’s inherent ability to adapt and present a persona that both motivates and inspires marks the domain of his presence within the narrative (Main Character Approach of Be-er). The children stand in for their deceased mother as they influence Ben to dig deep into his own justifications (Influence Character Throughline of Universe). Bodevan’s struggle with his admissions letters and with girls his own age challenges Ben to recongize how difficult it is to integrate under these conditions (Influence Character Concern of the Present & Relationship Story Catalyst of Preconditions). Finding common ground with campsite seductress Claire (Erin Moriarty) finally motivates Bodevan (George MacKay) to reveal his mother’s perceived deception (Influence Character Problem of Induction & Influence Character Benchmark of the Past). Ben eventually comes to accept his hand in his wife Leslie’s downfall (Main Character Solution of Acceptance). He knew that living out there was bad for her, yet he still persisted (Main Character Resolve of Changed). This change of character releases Rellian’s hatred and angst for his father, exemplified by the young boy’s decision to turn around and finally face his father head on. Accepting that he, the husband, was most likely complicit in their mother’s turn releases all tension between father and son (Relationship Story Solution of Probability). In the end, Ben conceives of a new beginning for his family (Overall Story Goal of Conceiving and Story Outcome of Success). A synthesis between his ideals and those of modern society bring peace and resolution to their troubled lives (Overall Story Solution of Acceptance & Story Judgment of Good). Captain Fantastic is fantastic storytelling that rests on a strong and competent story structure. Weaving Ben’s personal refusal of his hand in the events of his wife’s death with the refusal to accept the norms of society represents a masterstroke in narrative formation. By presenting the positive aspects of acceptance both from within and without, subjective and objective, the film offers the viewer an opportunity to challenge their own justifications and perhaps find a way to integrate such acceptance into their own lives.